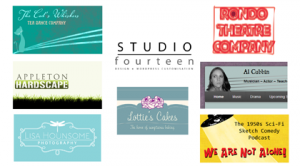 STUDIO fourteen opened its virtual doors in 2010, designing small, static sites for individuals and small businesses. The aim was to exploit the improving adoption of web standards by browser distributors and use CSS to design and customise sites to match the client’s vision. Since then the focus has shifted to working with content management systems, particularly WordPress, in order to deliver sites to clients that they can manage on a day to day basis with no technical knowledge or in depth training. If you are looking to build a new website or just bring your existing site up to date please get in touch to discuss design, customisation and maintenance options. Past work can be seen here. WordPress training – no budget for design? Let me show you how to build your own site. Copyright © 2019 studio fourteen. Powered by WordPress. Theme: Spacious by ThemeGrill.